When All 6’s And 7’s landed the #4 spot on Billboard’s Top 200 last week, it seemed like everyone was buzzing about Tech N9ne. Hip Hop sites, newspapers, and magazines were reporting on Tech’s surprise hit. More importantly though, the very people who made it happen, the fans, were also taking their thoughts to Twitter to share in the excitement. 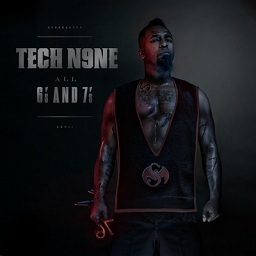 Many fans purchased multiple copies of All 6’s And 7’s, causing the album to sell out at retailers around the country. With All 6’s And 7’s, every Technician became a part of Tech N9ne history.